MUMBAI: Workers of Hindustan Unilever Limited (HUL) from two factories Dapada Factory and Amli Factory situated in the union territory of Dadra and Nagar Haveli are demonstrating today for their higher wages and other fundamental rights at HUL head office at D.B., Sawant marg, Chakala, Andheri (E), Mumbai. 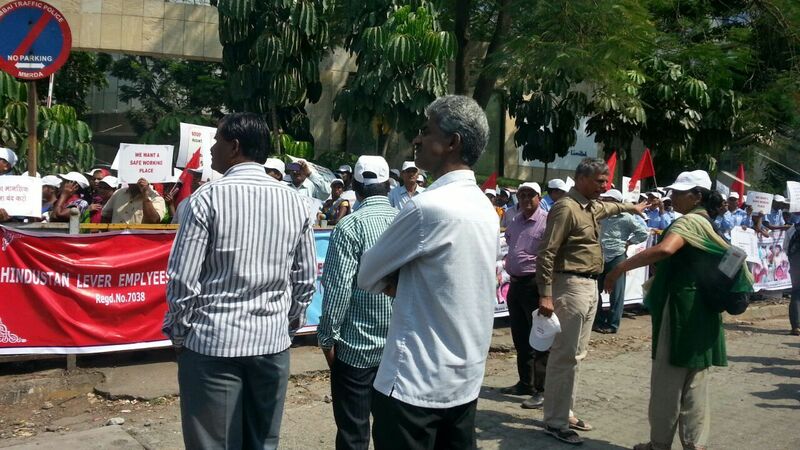 “Workers of Hindustan Unilever Limited (HUL) from two factories Dapada Factory and Amli Factory situated in the union territory of Dadra and Nagar Haveli are coming to Mumbai along with their Families are having a demonstration in front of the HUL head office.”, Sanjay Singhvi, President of The Federation of Hindutan Lever Limited informed IndiaCSR. Workers of Hindustan Unilever: Poorly Paid, With No Right to Unionize. “Hindustan Unilever earns huge profits from the sales of its goods, but the workers who toil day and night to make thease goods are highly exploited, poorly paid and deprived of their statutory rights. In fact, the wages paid to the permanent workers are very low and very less when compared with companies that manufacture similar goods like Colgate, Nestle and GSK etc.”, he added. “To earn its super profits HUL has been resorting to shifting production to areas where there is tax holidays and also get products manufactured through third party units. In thease third party units like Prime Health Care in Daman where personal products are manufactured the workers are forced to work for 12 hours daily. The wages paid to the workers are less than minimum wages.”, he informed. “When workers try to form unions of their choice HUL reacts in a very hostile manner and has been interfering with the exercise of the workman’s fundamental right to organize. 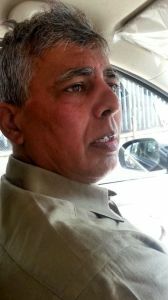 It has been harassing and victimizing the members of the union particularly the active members, unit committee members and unit office bearers.”, HUL Employee Unions said in the statement. “HUL does not believe in collective bargaining, it believes in forcing the workers to accept the terms of their choice. It is the corporate policy of HUL to identify 8 to 10 workers in factories and with inducements of promotions or threats like dismissal force them to sign settlements and then force this settlement on the other workers of the factory. Harassment and victimization has become the order of the day.”, statement said. “HUL has a factory at Kodaikanal manufacturing thermometer Mercury is used for the manufacture which is highly toxic metal. When the workers were affected by memory loss, neurological disorders, kidney problems, skin and dental problems and the children born to them started suffering from a variety of congenital disorders, including mental development deficits, the company closed this factory.”, Sanjay Singhvi Said. “More than 33 workers between the age group of 25 to 40 years expired and about 18 children have been affected. Till date the company has not compensated the affected workers and their families who were badly affected due to the criminal negligence on the part of the company.”, he informed. “Fed up with these daily harassment and violation of trade union rights, the workers of two factories Dapada Unit II and Amli factory are holding a demonstration in front of the Head Office with their families today. The demands of these workers are supported wholeheartedly by the Hindustan Lever Employees’ Federation as well as the workers of the 12 other units of HUL who are facing similar exploitative conditions.”, he added. Stop victimization and harassment of workers immediately! Dismissed workers should be taken back on duty immediately! Recognize Hindustan Lever Employees’ Union in Dapada Unit II and Amli factory and negotiate with the union in good faith! Hindustan Unilever Limited is the biggest transnational company operating in India. Around 67.24% the shares of this company are held by Unilever PLC London and it Associate Companies. HUL is the largest transnational company operating in India. It has over 35 brands spanning 20 distinct categories such as soaps, detergents, shampoos, Skin care, toothpastes, deodorants, cosmetics, tea, coffee, packaged foods, ice cream,and water purifiers. Its portfollo includes leading household brands such as Lux, Lifebuoy, Rexona, Sunlight, Haman, Pears, Lyrill, Vim, Surf Excel, Rin, Wheel, Fair & Lovely, Pond’s, Vaseline, Lakme, Dove, Clinic Plus, Sunsilk, Pepsodent, Closeup, Axe, Brooke Bond, Taj Mahal Tea, Lipton Tea, Bru Knorr, Kissan, Kwality Wall’s and Pureit, Modern Bread, etc. The Company has a virtual monopoly in all the segments that it operates in.